So. We had sort of promised to write a lot of blog posts about the progress of opening our new store. We intended to. However, once things started really rolling our focus shifted toward just getting the place ready and not so much on sharing what we were doing. But we would like to share a few of the thing we have had going on. 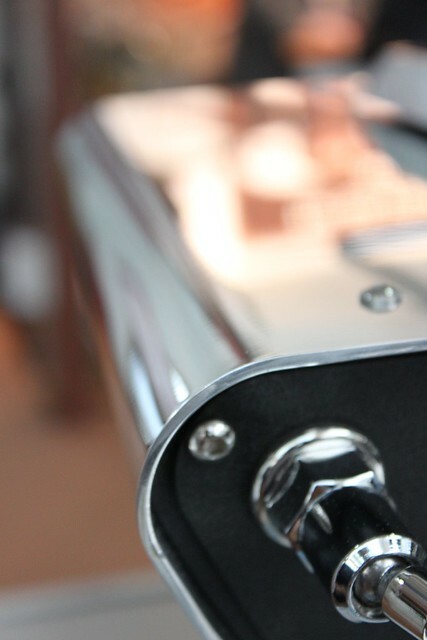 We're extremely proud to have the world premier of the new Kees Van De Westen espresso machine Spirit in a coffee shop. 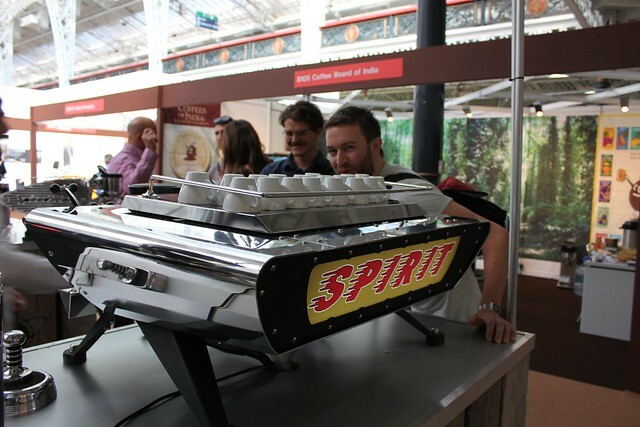 Some of you might have seen this machine at some specialty coffee trade shows. Kees is widely known in the specialty coffee circles for designing and producing awesome espresso machines. 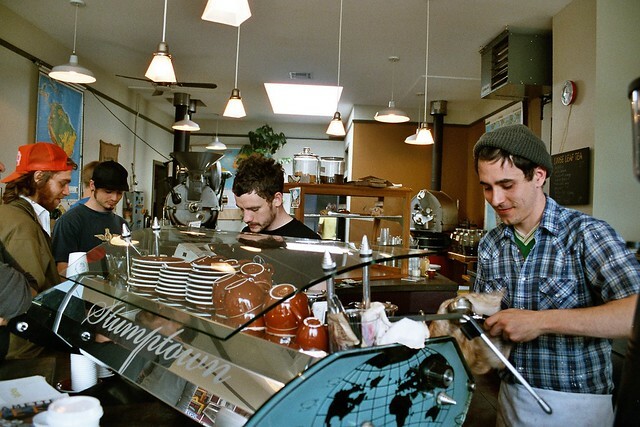 He designed the widely known Mistral espresso machine from mainly La Marzocco parts. A design that La Marzocco later bought and put into their own production. The original Kees machines are still a collectors item and I remember vividly working on those awesome machines back in 2005 at Stumptown. The Spirit is his newest invention and features a lot of cool ideas. And overall it's such a well made machine that just feels awesome to work at. Personally I love how much work Kees has put into the detailing on this machine and I think it looks amazing. 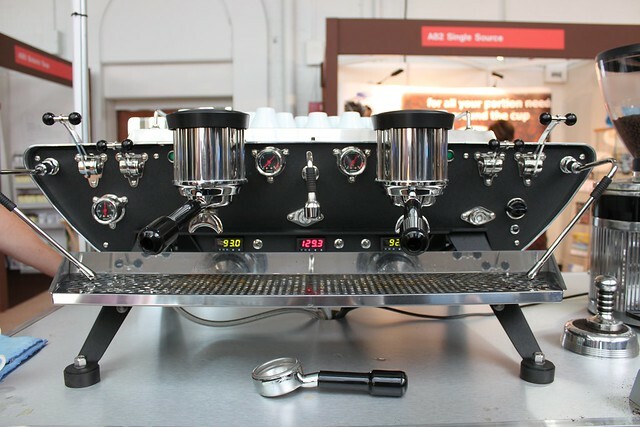 These pictures are from the WBC show in London last summer, but this same machine is now the one you'll find in our new shop. We definitely put it to the test over this opening weekend with over 1000 cups a day going through it. And it held up beautifully. The temperature, which you can set and read for each group, was extremely stable. In typical Kees-style he also send us teflon-coated portafilters and VST baskets as standard. On top of that he sent three extra steam tips, so we could choose which hole size we liked best. What a guy! There's some interesting stuff going on 'under the hood'. When looking into the group heads you'll notice that there's no screw, but the shower screen covers the whole area. Theoretically this should give a more even dispersion of the water over the coffee bed. 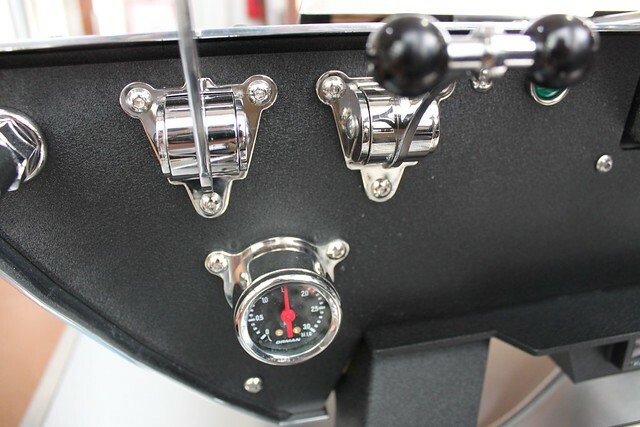 There's also a build in mechanical pre-infusion plus a nice slow flow that secures an even wetting of the coffee before the full pressure is applied. All in all there's a great number of things going on, and Kees is working on even more for the final production models. 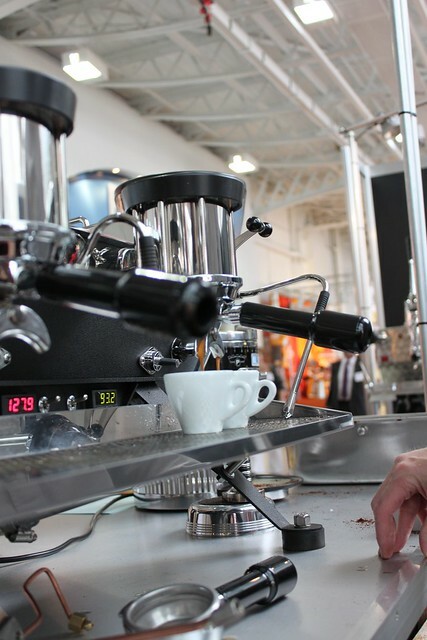 What we can already say is that it's capable of making some amazingly great tasting espressos. And that's what matters in the end.